Massive Open Online Course (MOOCs) is a platform that provides various open online certification courses which aim unlimited participation and access via the web. It was first introduced in 2006 and growing rapidly by time. MOOCs certification provides interactive user forums to support community interactions among students, professors, and teaching assistants. World’s leading universities and educational institutes are now offering multiple courses. MBA students of IPER successfully completed various skills -oriented certification courses. 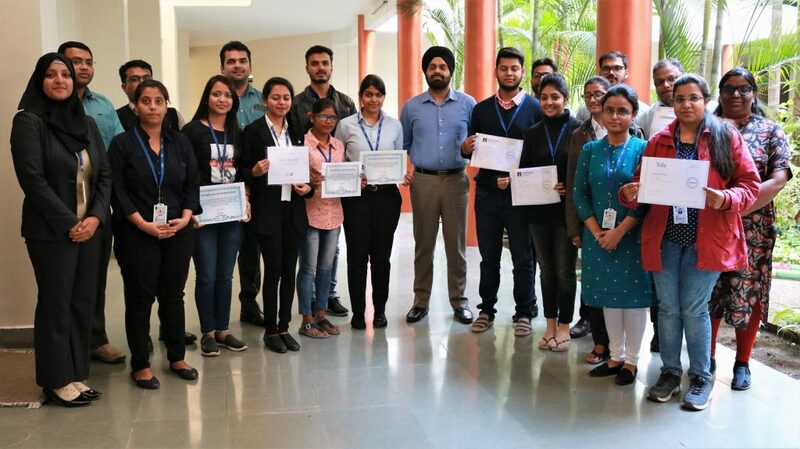 An advanced course of Data Science and Machine learning was done by Anshu Kumar Sinha from Kelly Technologies, Hyderabad. This course covered understanding about business intelligence and business analysis, Data collecting and Data Mining and much more. Certification in MS Excel, Marketing principle, Content Marketing was concluded by Akshay Saxena from Udemy. Overall learning in marketing concepts and business strategies were achieved through the course. Likewise, Ankit Dubey completed the certification in Business Communication and Non-verbal communication where he learned how to communicate effectively and understanding diverse audiences. Similarly, Huda Qureshi accomplished the Fundamental of Digital Marketing and Google Digital unlocked where she learned how the targeted audience can be reached in a cost-effective and measurable way. Saloni Jain did Certification in course value of Business Model. She studied how to design, test and implement new business models for sustainable success. Sumbul Hyder did the certification course in Public Speaking. Shalini Patel received knowledge about Financial Market and Google Ads. Devika Sharma completed the course of Analyzing Data using Excel from Microsoft. Neeraj Lalwani finished the certification in Content Marketing and Business Branding. Likewise, a course of Excel Scale for business essential and Intro to Investment was done by Yasir Khan and Smriti Rastogi. Many other diverse certification skill courses were accomplished by Chanchala Kumari, Pragya Singh, Rupal Jain, Mughda Shukla through MOOCs certification. Lastly, there are tons of benefits in pursuing an online course. Moreover, students can learn at their own pace and it does not affect work-life balance. Achievement in both academics and certification is possible, as there is flexible timing benefit. A MOOCs certification is cost-effective as it provides easy access to quality learning resources. IPER is encouraging students to enhance their skills and knowledge using MOOCs certification platforms more than ever.